Precise recognition of workpiece position in realtime from a standard video is accomplished by an ASIC for 2-dimensional normalized correlation. 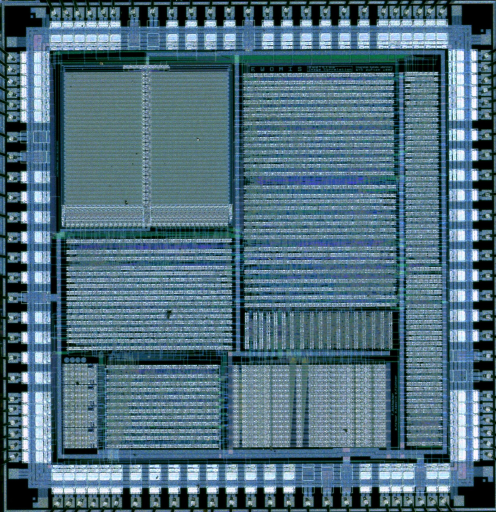 The image correlation coprocessor EWOMIS is controlled through its microprocessor interface With a sophisticated parallel/pipeline architecture containing four parallel multipliers and using three level pipelining a speed up factor of 20 in comparison to a DSP56116 implementation is achieved. 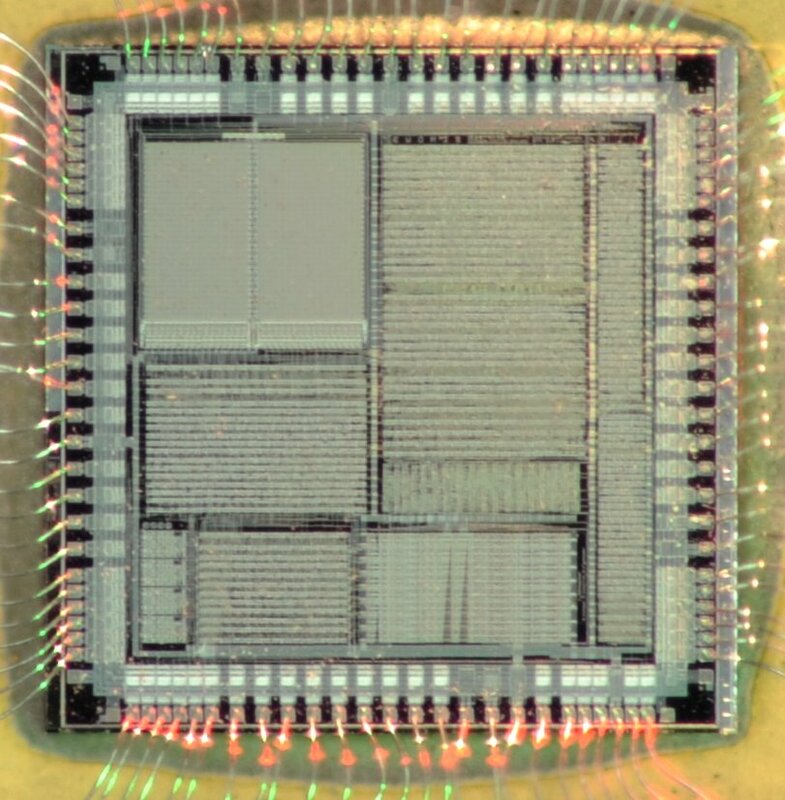 The chip has been extensively tested and is fully functional up to 60MHz (4.5V, 85C) with a power consumption of 800mW. The sustained performance equals to 0.16x10^9 MAC/s. With 8964 test vectors a fault coverage of 97.3% has been accomplished using scanpaths and block isolation techniques.